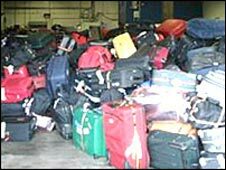 According to BA the baggage handling system at Heathrow is now working well. However there is a huge backlog of bags at the airport. BA has a team of 400 volunteers who are working to clear the backlog of around 15,000 bags which have now built up at the airport although reuniting passengers with their luggage is likely to take some time because the bags need to go through enhanced security screening This is now being done manually because BA has been unable to use the Terminal 5 baggage system to process the bags. The Post Office has announced 53 branches in Norfolk that are facing closure. Despite the closures The Post Office says that the cutbacks are necessary to make the service sustainable and that most people will still be within a mile of a post office. Several British airlines are facing increased costs which could amount to hundreds of millions of pounds after expansion plans have been set back because of problems with the new 787 Dreamliner plane. British Airways, Virgin Atlantic and First Choice Airways have ordered 97 of the planes between them making them an essential part of the UK aviation industry’s new fleet. There are likely to be delivery delays of more than a year because parts of the plane have needed to be redesigned. This weeks travel blog of the week is Family Travel. The blog is run by away.com and features regular authors Steve Jermanok and Christine Loomis and other guest authors. It aims to offer practical advice and tips for those planning a trip with the family. One article written by Nathan Borchelt looks at the Copper Mountain ski resort in Colorado which Nathan says is an ideal resort for the whole family. The reason he says this is that the resort has a large area which is dedicated to beginners but also has more challenging intermediate and expert runs which are situated well away from those who are just learning the ropes. The resort also holds classes for two age groups children aged 3 to 5 and another for children aged 5 and over, as well as having seasonal youth programs also separated by age group. It certainly looks like a great family destination. Another useful article written by guest blogger Jennifer Michaels and entitled packing tips from the expert looks at how to organise your packing and still stay within the airlines baggage allowance. Tips include things lie using a board to fold shirts and shorts and rolling bathing suits and underwear into cubes to save much needed space. Other tips include renting large items of baby equipment once you reach your destination and giving each child their own carry on kit for the plane journey with their special toys and some snacks included. This article is definitely worth a read before you travel. Terminal 5’s third day has been hit by further cancellations. More than 100 flights were cancelled on Thursday and Friday because of problems with the baggage handling system with another 54 flights cancelled today. Customers are being advised to check on the BA website for a full list of cancellations. Those who do have their flights cancelled will be able to apply for a refund or rebook. Things didn’t get any better on the second day of operations at Terminal 5. After the initial problems with the baggage handling system on the opening day the second day saw one in five flights being cancelled. 80% of the planned 534 flights were operating with passengers now able to check in hold luggage. BA has set up an information line for T5 passengers: 0800 727800. The airline has also advised customers to check its website, www.ba.com for service updates. The RMT have announced a three day tube strike in a row over safety concerns. The strike will run from 1830 on 6th of April and will end on the 9th of April. The strikes will affect tube travel over a total of four days. It appeared that BAA had everything covered with the opening of the new Terminal 5 at Heathrow. After all they had spent months testing the terminal, so what could go wrong? Quite a lot it seems. On the opening day flights from the new terminal were departing with hand baggage only after luggage check in was suspended due to a processing backlog. British Airways announced that all check in was suspended until the following day. In addition 34 flights were cancelled because of baggage problems and passengers faced delays of up to four hours to reclaim their luggage. Not a good start. Members of the Rail Maritime and Transport union have voted to strike over safety concerns. The unions, which represent 7,500 station staff and drivers, have concerns about staff working alone and plans to introduce "mobile supervisors" at stations. It is expected the strike dates will be announced later today. East Midlands Trains is investing £90 million to improve the performance of its services. The money will be used to refurbish stations and its current fleet. The firm will also improve CCTV on trains and set up a new control centre in Derby to improve communications with Network Rail. They also aim to improve punctuality and have issued staff with atomic watches. Terminal 5 opened to passengers today. The opening, however, was not without its problems. Problems with the baggage handling system left many customers waiting up to two hours for their luggage. There were also long queues to get through check in and security. To add to the problems a set of escalators also broke down and there were problems for people trying to pay for parking. Lets hope this just teething problems and not the shape of things to come. Train Drivers working for South West Trains have called off strikes which were planned for next week. A four day strike was due to take place in a disagreement over pay. The Aslef union has now reached a draft agreement with the train operator and drivers will vote on the deal next month. Easyjet has started offering flights to and from Jersey. They have replaced Thomsonfly on the Luton route and will also start offering a service from Liverpool later this year. The airline expects around 200,000 passengers to use the service in the first year. Royal Mail managers have voted to reject proposed changes to their pension plan. The move could increase the risk of strike of action. The union Unite had advised its members to reject the proposed changes to the pension plan and 85% of staff who were balloted agreed with the union. Under the plans Royal Mail would cut the value of its pension scheme for new and current members and raise the retirement age. Unites have said that it will consider a ballot for strike action if the issue is not dealt with by Royal Mail but have also said they are unwilling to rush into strike action. The Communication Workers Union will also hold a ballot of its members to judge their opinion. The UK’s first car share lane has opened in West Yorkshire. The lane links the M606 from Bradford to the M62 towards Leeds. To use it vehicles must be carrying two of more people with heavy goods vehicles not being allowed to use it. It is estimated it will save a regular commuter around 30 to 40 minutes each week. However, just a few hours after it opened a single motorist in a sports car was pictured using the lane, seemingly oblivious that the scheme existed. He could now be charged a £30 penalty for the offence. There is no travel of the blog of the week this week due to the Easter break. Don't worry though it will be back as normal next week. easyjet have warned investors to expect lower profits as a result of the higher cost of fuel. The airline is facing a potential £45 million rise in fuel costs as a result of high oil prices. As a result of this they expect to see much lower profits than previously predicted in the second half of the year. People travelling by train this Easter are likely to face disruption as Network Rail carries out work on some of the major routes. Work is being carried out on the East Coast mainline and the West Coast mainline meaning that some routes will have less than one train every hour. More than 30 rail projects are to be carried out over the Easter holiday with work including projects such as laying track and repairing bridges. Friday the 21st of March and Monday 24th of March are public holidays in the UK. This means there is no mail delivery or collections on these days. Any letters sent via PC2Paper customers after close of business (5pm) on Thursday the 20th of March will not be processed until we reopen on Tuesday 25th March. Customers will still be able to send letters as normal but they will remain in the system as pending until the next working day. Customers should also be aware that the public holidays may mean any letters sent on Thursday the 20th the March are not received until the middle of the following week. This is due to the fact that Royal Mail delivery staff do not work on public holidays, so although PC2Paper will have processed and sent your letter it may remain in the postal system over the long weekend. 10% more traffic than usual is expected to hit Britain’s roads this weekend as people try to get away for Easter. The AA expects 6.5 million cars to use the roads over the weekend with Maundy Thursday and Easter Monday being the busiest. Traffic hotspots are likely to include the M5 south of Bristol, the M4 between London and Bristol and the M1 Nottingham to Chesterfield. In addition to the expected heavy traffic road works are still currently affecting the M1, M4, M5, M6, M11, M25, M42, M48, M55, M56, M57, M60, M62, M65, M69 and many A roads. A new airport control tower is due to open at Norwich International Airport. The tower is part of a £400,000 upgrade and includes new weather reporting systems, radar screens and a modern communications system. It will be used by staff to guide around 54,000 flights in and out of the airport every year. BAA is likely to introduce a £20 fee for drivers dropping passengers off at Heathrow. The airport operator will also charge a daily parking fee of £20. The new charges would help pay for the cost of expansion as well as helping to meet pollution standards set down by the Government. If the new charging regime goes ahead it will come into force in 2015 to coincide with an increase in the number of flights. Ryanair has increased check in charges in an effort to encourage customers to use its online services. The online fee for putting items in the planes hold has increased from £5 to £6 per bag whilst the cost of checking in luggage at the airport will be double the cost of the internet fee, going up from £10 to £12 per item. In addition to this passengers who check in at the airport will have to pay an extra £3. The increases are designed to encourage customers to travel with carry on luggage only and should help the airline cut airport and handling costs. Today's Travel Blog of the week is Boedus Travel, its one of my favourite types of travel blogs - one with a lot of pictures. One of my favourite articles on this blog is that depicting a photo album of Yemen, it has some amazing pictures of this beautiful country and its people. Another article in a similar vain is Ethiopia Photo Raid an article where the author prefers to show his experience of this African country in photos and like the Yemen article the photos are truly stunning. Travellers on the East Coast Mainline will face disruption over Easter as services are hit by strike action. Services on the line have already been hit by gales which caused the track between York and Doncaster to be blocked by fallen power lines. This led to a reduced service being run between Scotland and York and Leeds and London. The planned strikes will last for five days starting next Wednesday 19th March and continuing until the morning of Easter Monday. During this time The Rail and Maritime Union members will not work any shifts. Network Rail has said that some services will still continue despite the strike action. The action is in protest to proposed job cuts at the North Yorkshire site and comes after a vote in favour on industrial action. The Queen has officially opened Terminal 5 at Heathrow today. She was accompanied by the Duke of Edinburgh and addressed 800 guests, most of who have been involved in the project. The terminal will begin operating on the 27th March and will offer increased customer capacity. The terminal will be used by British Airways for international flights and journeys to and from Manchester, Newcastle, Belfast and Scottish airports. BAA has put up airport landing fees for Heathrow and Gatwick meaning a rise in ticket prices of about £2. The Civil Aviation Authority has allowed then to increase fees to help pay for better facilities and increased security measures. Although the increases have been criticised by airlines including British Airways BAA have said that the measures do not go far enough and that he increase will not be enough to pay for £6.5bn rebuilding work at Heathrow and ageing facilities at Gatwick. Essex County Council is taking part in discussions about the possibility of taking over the running of post offices which have been earmarked for closure. The council is negotiating a buy out price from the Post Office and hopes to save 15 branches. They hope to make a profit out of the post offices by combining postal services with council services but have not yet said which branches they hope to save. This weeks Travel Blog of the Week is The Brel Chronicles written by Brendan and Mel (Brel). The blog charts their travels over a 10 month period and although it is still relatively new with the first post in January of this year, it already contains a number of interesting articles. I have always loved monkeys so was interested to see their pictures from Costa Rica where they have come across Howler Monkeys, Capuchin M onkeys and Squirrel Monkeys all of which are really really cute. Much of the couples time in Costa Rica was also spent stalking the local bird population with Mel spotting an impressive 75 bird species including toucans, trogons, kingfishers and parrots. They have also set up a foundation that is designed to try and give something back to the communities they visit. It is called The Brel Drop in the Ocean Foundation and the idea is that they will select a cause in each country that they visit and try offer what help they can, whether it is donating money or some of their time by volunteering on a local project. So far they have helped address the problem of stray cats in Placencia by helping to reduce the population with a neutering program. They also have plans to contribute to an organisation that provides monkey bridges to help Titi monkeys avoid being electrocuted by electric wires. This blog is certainly off to a promising start despite being only three months old, I am looking forward to reading more of this great content over the coming months. When Heathrow’s Terminal 5 opens later this month, it will become the first airport to introduce mandatory fingerprinting for domestic passengers. All domestic passengers leaving the terminal will now be subject to biometric checks and it is expected that other UK airports will introduce fingerprinting as within the next few years. All domestic passengers who go through Terminal 5 will have four fingerprints taken, as well as being photographed when they check in. BAA says that the move is necessary to prevent criminals and terrorists bypassing border controls and that the biometric information will be destroyed after 24 hours and that it will not be passed onto the police. If you are planning on taking a holiday in the Mediterranean this summer you might want to be cautious when you visit the beach. This article suggests that large numbers of jellyfish are likely to be washed ashore this summer. 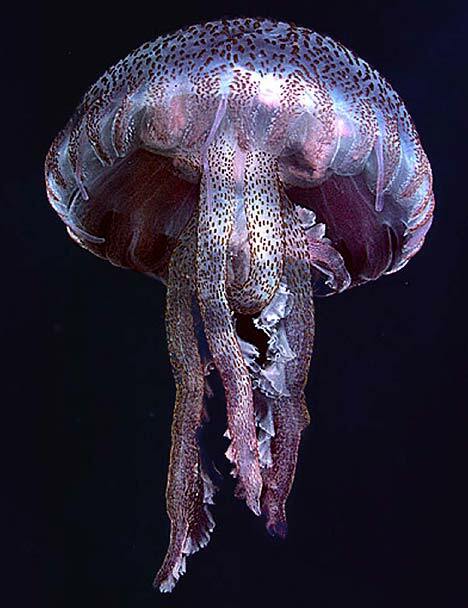 Scientists studying the mauve stinger have noticed massive numbers of the jellyfish in deeper waters off the Costa Brava which are likely to be washed ashore with the summer tides. Although this jellyfish does sting, it does not seriously harm people. Recent developments in the Eurostar service and cheap flight deals mean that it is becoming easier to travel to the continent. This means it is becoming a viable option for commuters to live in France but still work in London. For people who are interested in doing just that www.francepropertyshop.com offers a guide to French property. It includes a search facility so you can search by region, price and the number of bedrooms you require. It also allows you to find properties near to your chosen ferry port or airport. For people who are thinking of making the move to France, but are not sure where to start there is an also a lot of advice from people highlighting their experiences and tips to make it all a bit easier. This is certainly a useful resource and worth looking at whether you are thinking of buying or selling a property in France. Network rail have been fined a record £14 million because of engineering work overruns. The fine was imposed after an investigation by the Office of Rail Regulation who also ordered Network Rail to provide a clear plan of how it intends to complete the outstanding work. Network Rail has already announced that the West Coast Main Line will face closures at Easter as work continues. The line may also have to close at some weekends because the work is running late. Engineering overruns caused disruption on the West Coast Main Line at the New Year as well as Liverpool Street Station and Shields Junction near Glasgow over the festive period. This weeks Travel Blog of the Week is Location Independent Living. Ever grown tired of the usual rat race? Working 9 to 5, five days a week to earn a salary to pay off your mortgage and eventually retire on a good enough pension and live the good life? Well this blog was started by people who didn't want to live that sort of life, they wanted to live a good life now and from anywhere in the world. So they sold all of their worldly possessions to travel the world and set up a location-independent business. This blog is here to help anyone else who wants to live this kind of live, it is also quick to add the caveat "without being a millionaire". To me this ensures people do not mistake this site as a get rich quick scheme but as a new way of living. An article I found interesting had the rather humorous title "How To Travel The World Working With Your Other Half And Not Split Up (Or Kill Each Other)". It covers the challenges facing couples who choose a Location Independent Lifestyle. One example it gives is the insecurity you might feel not being in your home town or close to friends to talk to instead of having to talk to your partner all the time. One solution it gives is to make new friends and to make use of online social networks to talk with friends. A scheme to help cut the cost of ferry journeys to and from the Western Isles has been announced by the Scottish Government. It currently costs £140 for the return car ferry from the mainland to Stornoway with local people saying this cost holds back tourism and development. The new scheme which will run as a pilot will cost £22 million to operate over three years but could see the cost of journey cut by a third. The routes chosen for the trial are Stornoway to Ullapool, the routes between Uig on Skye, Tarbert on Harris and Lochmaddy in North Uist and the routes linking Oban, South Uist, Coll Barra and Tiree. First Great Western is in danger of losing its franchise because of poor service standards. Transport secretary Ruth Kelly has ordered FGW to buy more carriages, increase passenger compensation payments and hire more staff. If these demands are not met the franchise will be terminated. First Great Western was voted the worst service in Britain last month and has misled passengers by underreporting the number of cancellations last year. Instead of fining the franchise Ruth Kelly has instead imposed an improved package on it which includes compensation for customers affected by punctuality problems.